Obviously when one goes on exchange in Australia it is necessary to jump 14000ft out of a plane. Building up the courage to skydive is hard the first time… having to do it three times is even harder. I have had three skydives cancelled due to bad weather while in Australia. Rainbow Beach it was raining. Byron Bay apparently it was too windy and wasn’t safe. Sydney was rainy as well and it is apparently feels like daggers are hitting your back if you skydive in the rain… so it was probably a good decision to not jump. Is having three skydives cancelled a sign? Should I not project my Canadian self out of a plane? … NOPE… You only live once. Time to rebook this skydive in Melbourne. I’ve been living here for the last 4 months and I suppose it is an appropriate place to fly over and get an amazing view of my home. The good news about skydiving in Melbourne is that my roomie Insia is joining me 🙂 Not going down alone! Living on edge in the land down under. 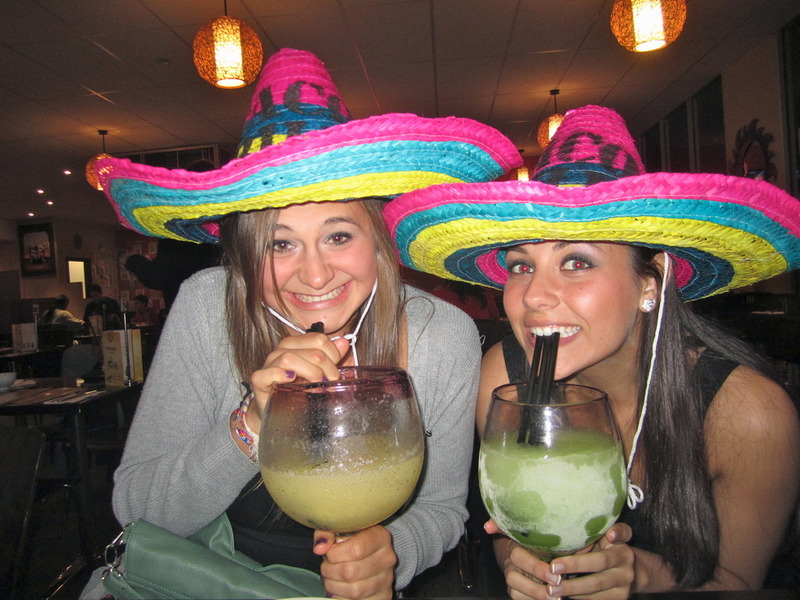 The infamous pancho villa night that had been planned for a couple months had finally arrived! 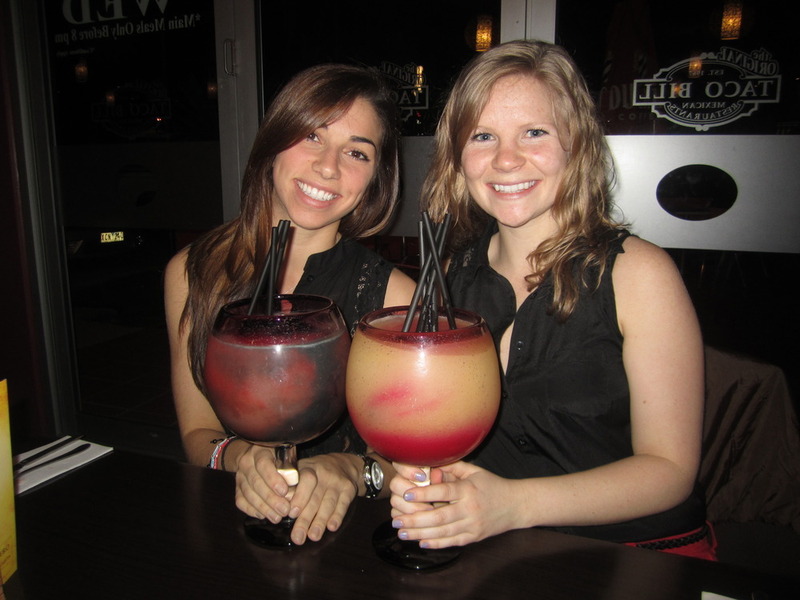 After a long stressful, exhausting week of “classes” it was time for a night out on the town! The Canada House girls have been having quite a full house the last week with the concentration of Canadians increasing by 3. 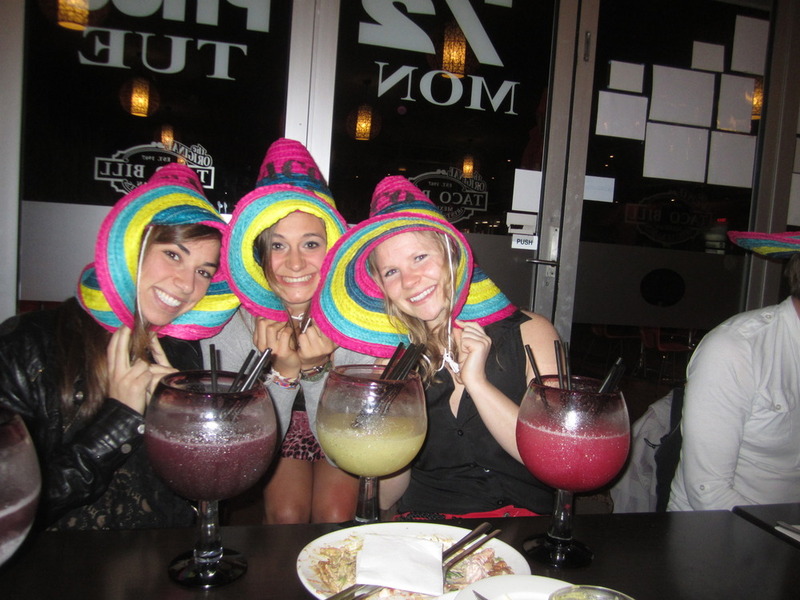 Georgia, Hayley and Marise had been enjoying there week in Melbourne, and Pancho Villa night was the last night we all had together before they headed off to their East Coast trips! 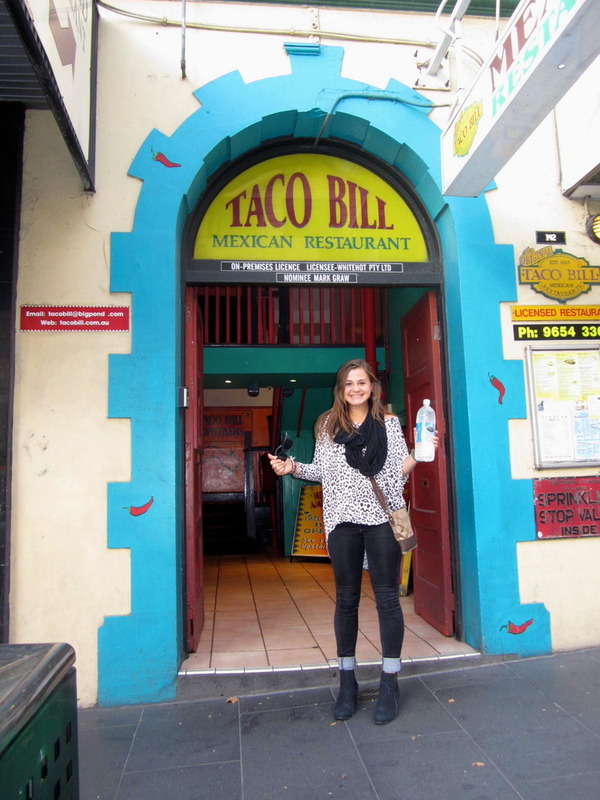 At 7 o’clock sharp we headed to Taco Bills, and made ourselves at home for a few hours. 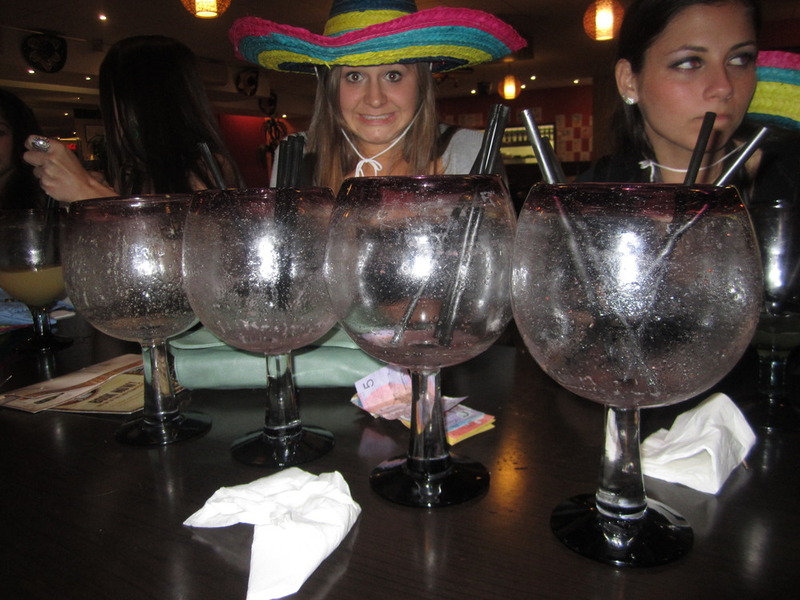 We each ordered a Pancho Villa for ourselves… those things are deadly. Georgia got the Fruit Tingle and Hayley got …. some other kind that was delicious. Marise and I w/ the Pancho Villas. Yum Yum Yum. Goodbye Pancho Villas… the night continued at The Mersh where we met up with some of the Monmouth crew who go close to every Friday night. 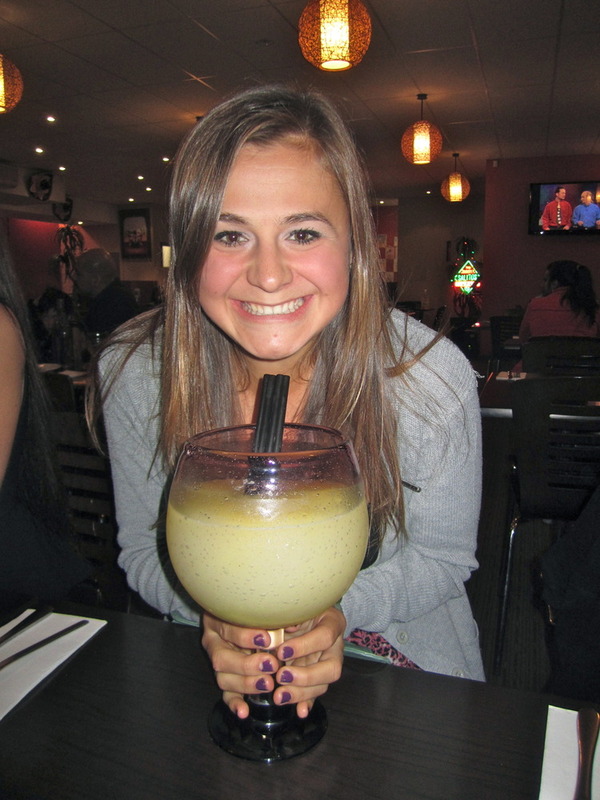 No need for drinks at the bar… these Pancho Villa’s have heaps! 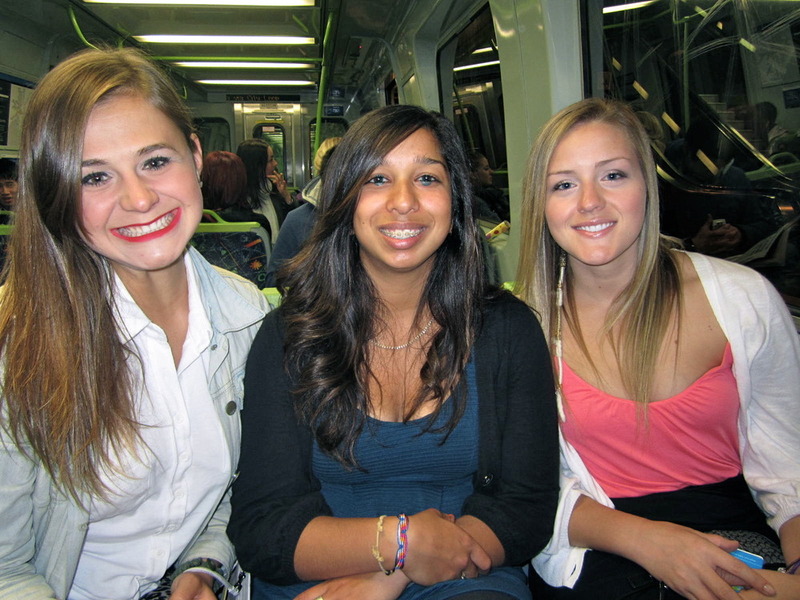 Another fab night out on the town – missed partying with Georgia and Hayley. Was it destiny or luck? Sounds like a pretty typical day. Yes that was my day today but I also did something I haven’t had to do in a really long time. Something not so typical. Something very foreign to me that I havent had to deal with in over 4 months. Destiny. On May 1st/12 I had the pleasure of welcoming Marise V into my home in Australia without even meeting her in the first place. Apprehensive at first, as to if this whole situation would work out. As I approached Newport Station to pick her up, a smile caught my eye, and it was Marise. As soon as we began to talk I knew that this friendship wasn’t just luck. I have never been able to click with someone so fast. 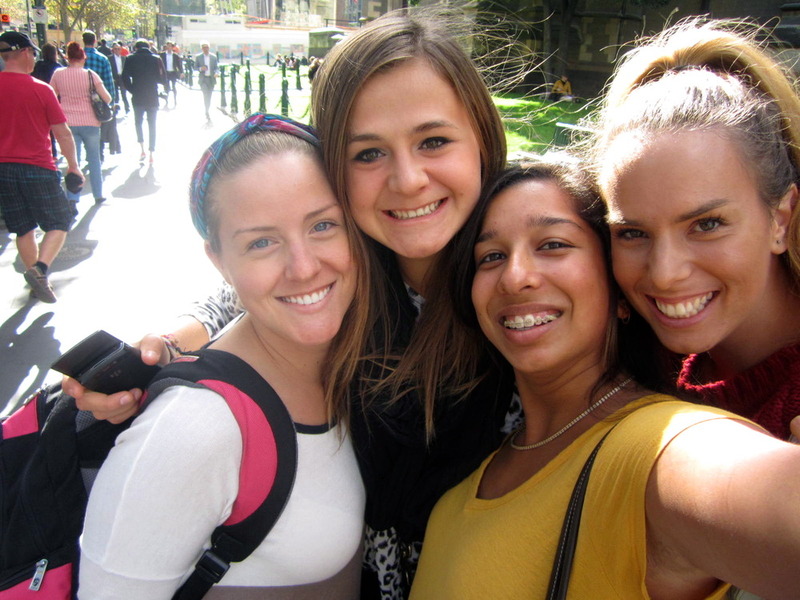 As a backpacker, you have to have the ability to be open to meeting new people all the times, which made it so much easier for us to get along. 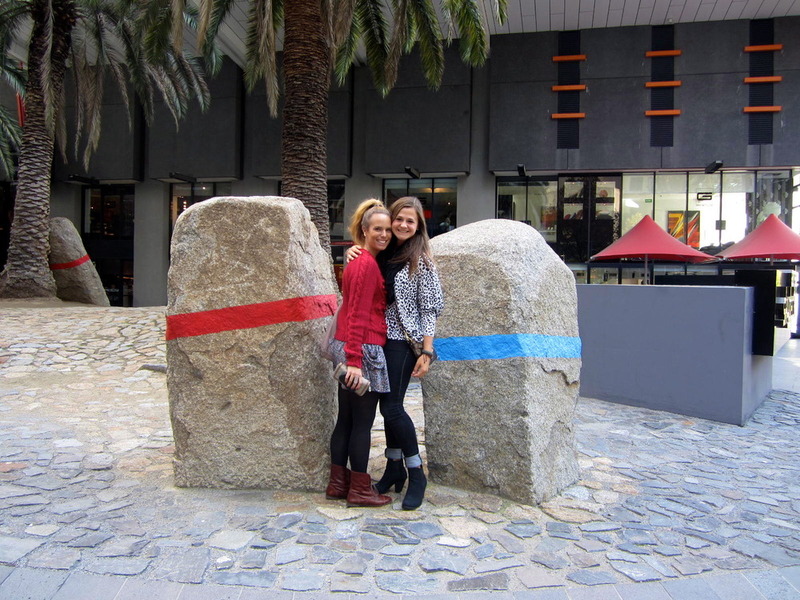 The time she spent in Melbourne with me and my 2 best friends, Georgia and Hayley (who also ADORE Marise) was awesome. It was so nice to finally be the tour guide. The one with all the background information, the one with all the cool places to explore, the knowledgeable?… local. 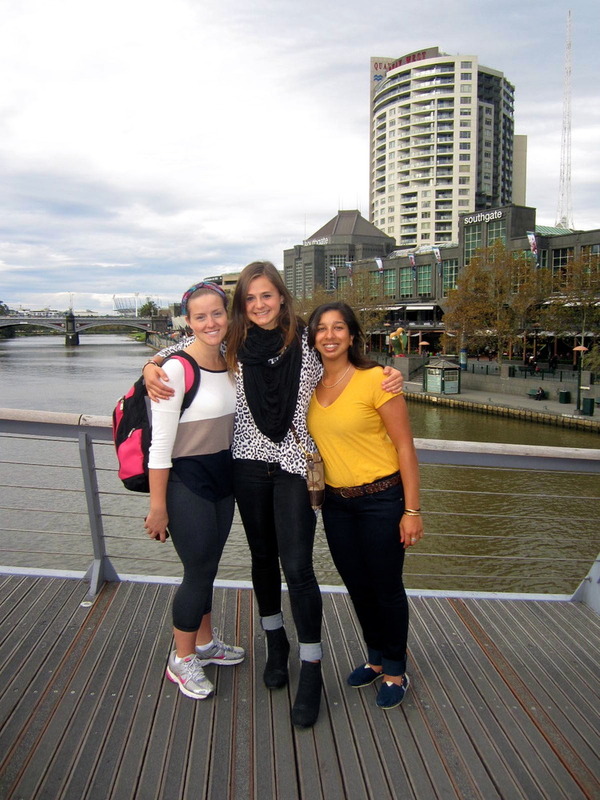 After a few days in Melbourne, Georgia, Hayley and Marise made their way up the East Coast for some other tours and trips, and they have all come back to me this week. Tonight, I unfortunately had to say goodbye to Marise (first real goodbye since leaving Canada) as she had finished her time in Australia, after an amazing 3 weeks here. It was crazy to think we had only met each other 2 weeks prior to tonight. Marise is truly incredible, she is one of those friends that you want in your life. Always a bundle of fun, and she has such a positive attitude all the time which really made me put into perspective things that are going on with me. With only 3 weeks under her belt with travelling, and her wanting more, made me realize how lucky I have been to have over 5 months of being resident in Auz. Well that’s that. I can officially in a few lines map out the rest of my trip. The end is coming. Finito. Where the heck has the time gone? 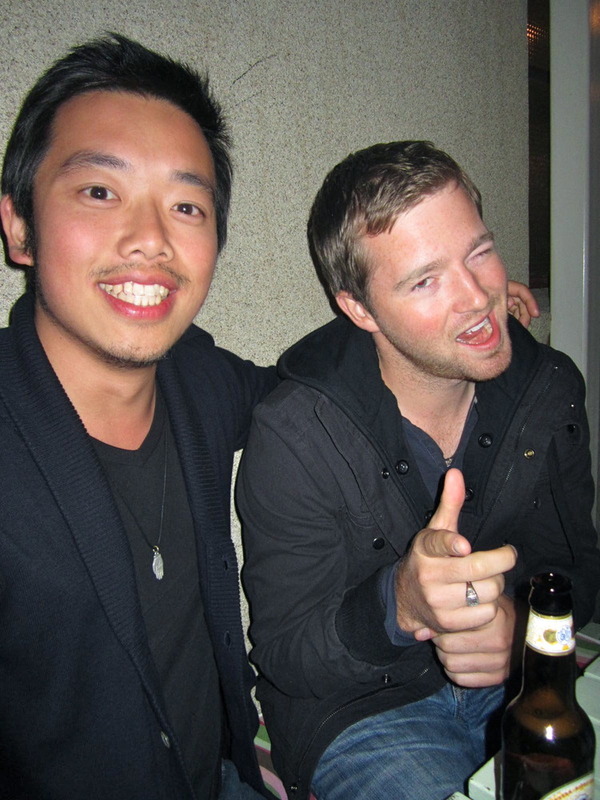 Tonight was the first taste of the many Australian goodbye’s I’d be doing in June. As hard as it was to say goodbye in Canada – I knew I would see those who I love, and those who REALLY matter, and those worthy of sticking around will always be there. Saying goodbye in Australia to all the Internationals and Australians brings on serious mixed emotions – what are the actual chances I will see them again within the next 10… 15…. 20… or 50… years? Time to live everyday like it is my last. YOLO. Queen Victoria Market is just a few minutes walk from Melbourne Central Station and it is one of the biggest outdoor/indoor markets in all of Melbourne. Sara, Stefan (Sara’s brother), Madison and I headed to the market one afternoon to check it out. It was HUGE! It had so many different sections! Meat, poultry, fish, delicatessen, cheese, fruit & veggies, nuts and dried fruit, clothes, jewelery, and souvenirs! I was so overwhelmed. I spent the majority of my time shopping for souvenirs as this is the perfect place to pick up some authentic Australian souvenirs. Due to the limited time we had, we werent able to cover the entire market, but I definately would like to go back before heading home to pick up some other things. After hosting Arthur So and Scotty Kerr for the past week, it was necessary that we all have an evening out together in the city. After work on Friday night, the ladies of Canada house suited up and made our way down to Parliment station to head to Madame Brussels. Madame Brussels is this really unique bar located on the 3rd floor of a Spagetti restaurant. It is a spin off of Alice in Wonderland. The servers were dressed in very fancy and almost “golf like” uniforms. The ground was covered in fake grass, and the seats were all comparable to park benches. It was very vintage. They also provided blankets since half of the bar is located outside which an outdoor patio. It was so nice to go out with the entire house and just hang out not in Canada House. I’d also like to mention that Arthur and Scott were such amazing guests! I really miss having them, and I think all the roomies do as well. You are both welcome back anytime.. if you did enjoy sleeping at Canada House. A little bit of testosterone in the head was needed for sure! 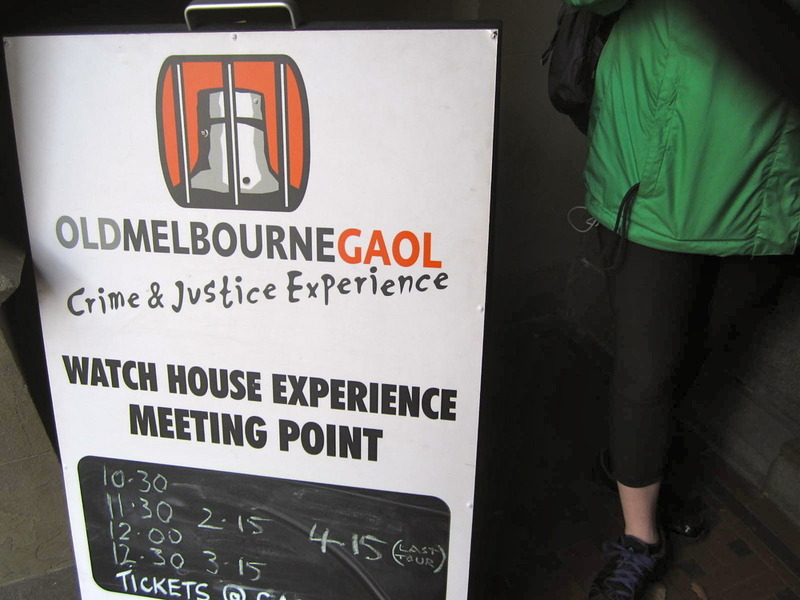 Another thing on the Australian/Melbourne bucket list was to go to the Old Melbourne Gaol. 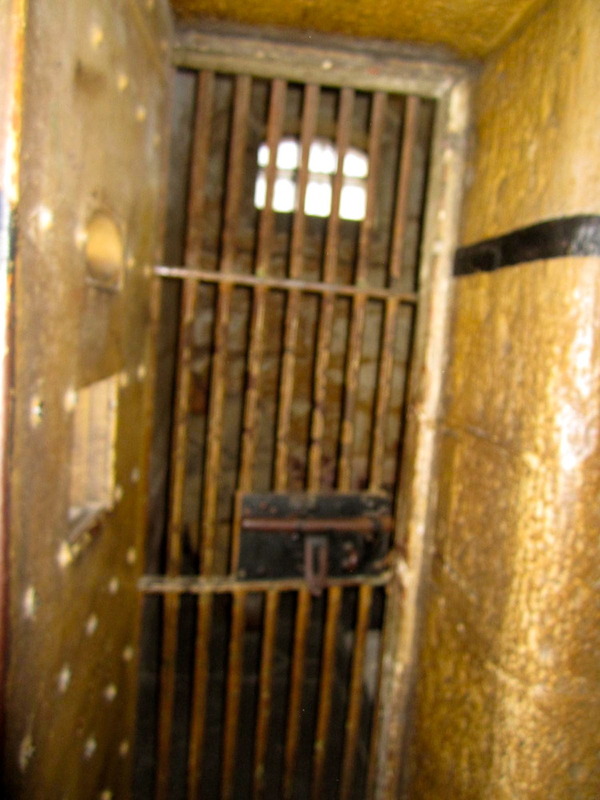 Gaol is pronounced like jail… if you didn’t already know that. 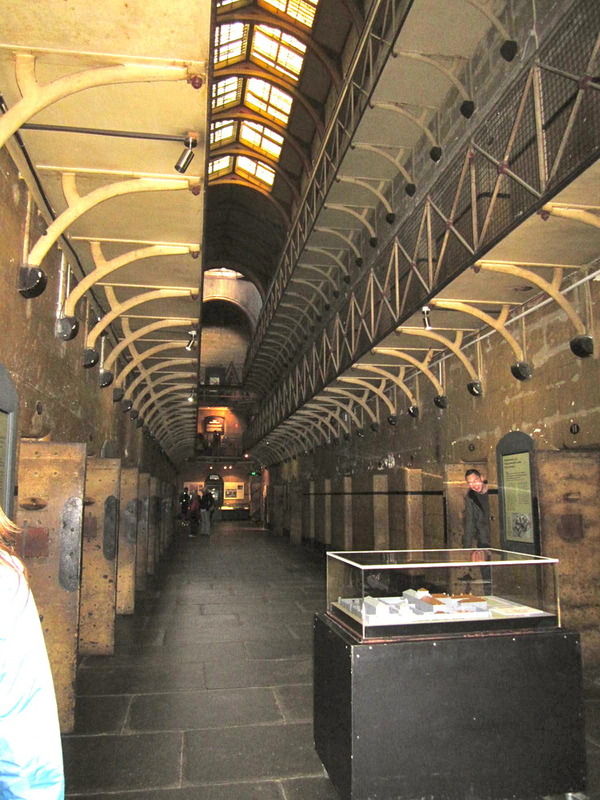 Most of Australia’s infamous characters, including the iconic bushranger Ned Kelly and notorious gangster Squizzy Taylor have spent time within the walls of this amazing precinct. Today the award-winning tourism attraction is an opportunity to step back in time and walk the road to the gallows in a 19th century prison; or be arrested in a modern-day Police Station and put yourself on trial in court. Afterwards we were allowed to roam around the gaol. This gaol is extremely old, and you can tell by how run down it looks. It makes the experience even creepier when you get to go through the gaol. 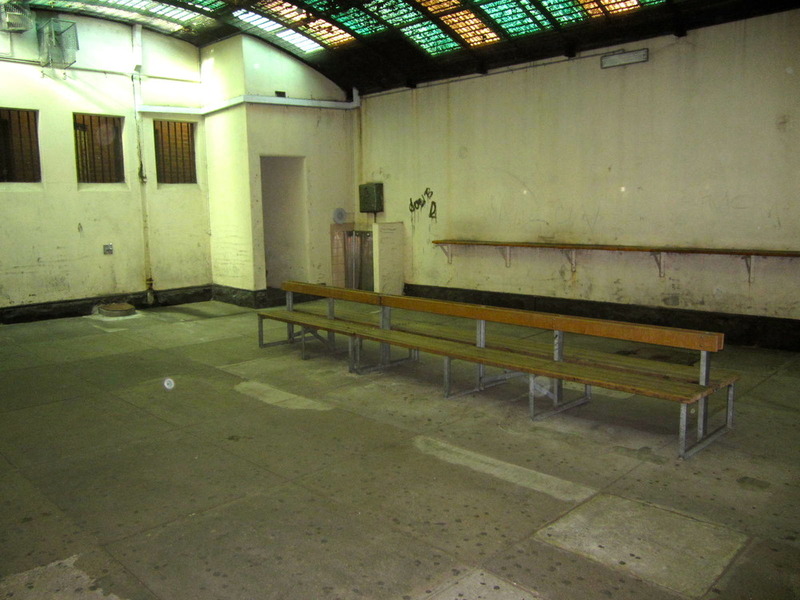 Here is the “exercise” room in the holding area. 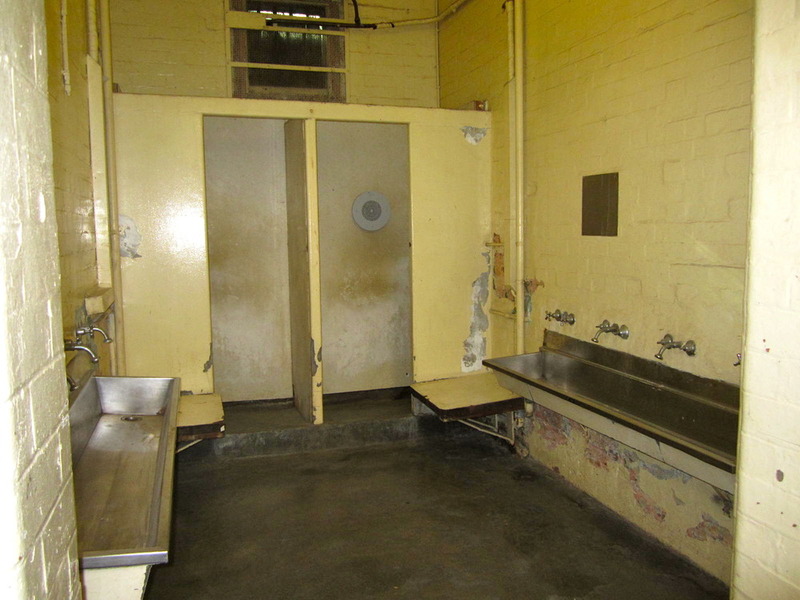 When the criminals were allowed out of their cells, they were allowed to use this area to walk and socialize with other criminals. Probably planning their way of escape… or their next crime haha. 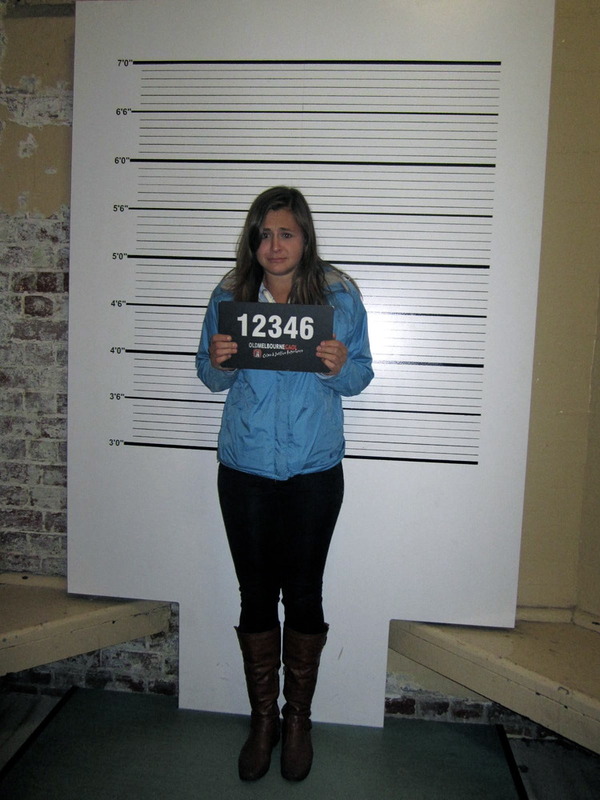 I should of sent this to my parents, and told them they had to come bail me out of the Melbourne Gaol. That would of been a good tactic for them to come visit me. The Gaol has now turned into a Museum. Within each cell, is information about various rules, regulations, and facts on criminals who spent a period of time within this institution. 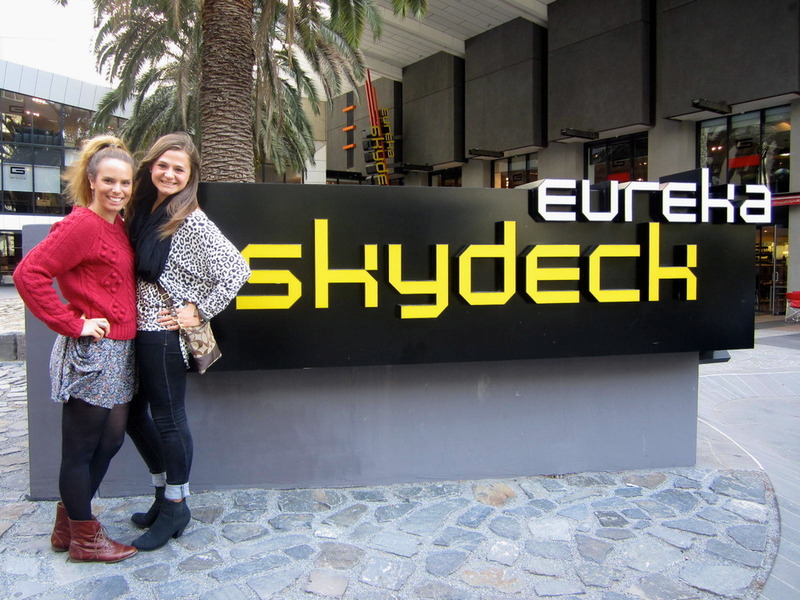 The Eureka Skydeck was a spontaneous decision made my Sara V. when we were roaming downtown another afternoon. Spontanenity is my middle name. Those decisions always turn out better then the one you put alot of effort planning. Sara is amazing. I can’t believe I have to say goodbye to her in just over a month. 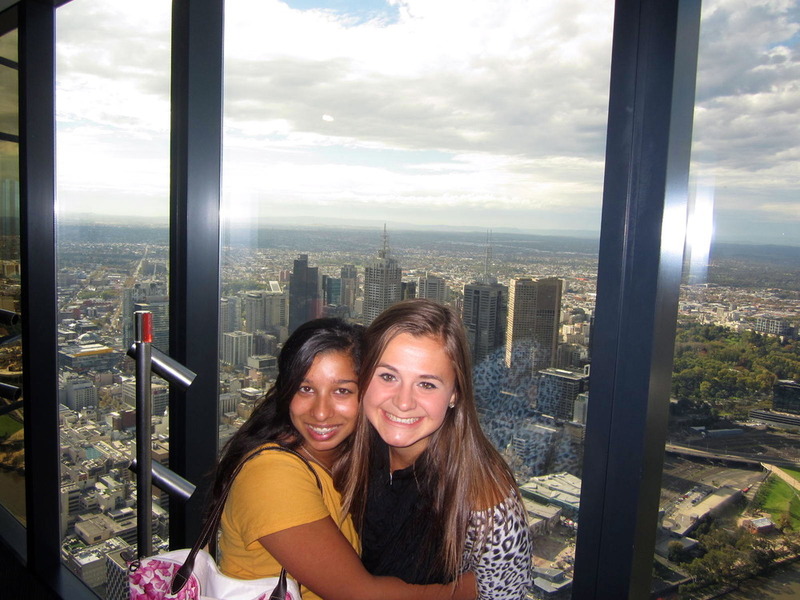 She has really made my experience in Melbourne unforgetable. Can’t wait til she comes and visits Canada again! 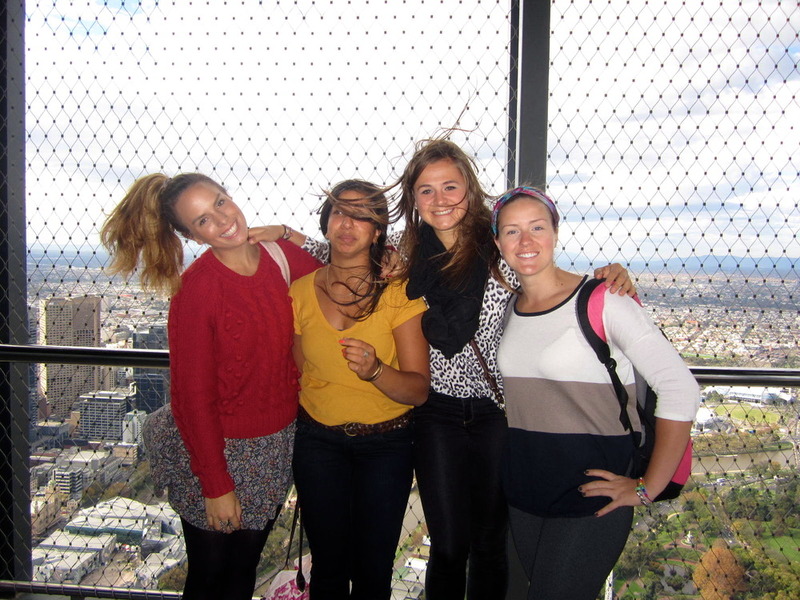 Insia, Daniela, Sara and I headed to the Eureka Skydeck in the early afternoon and spent an hour or so gazing out at Melbourne from above. 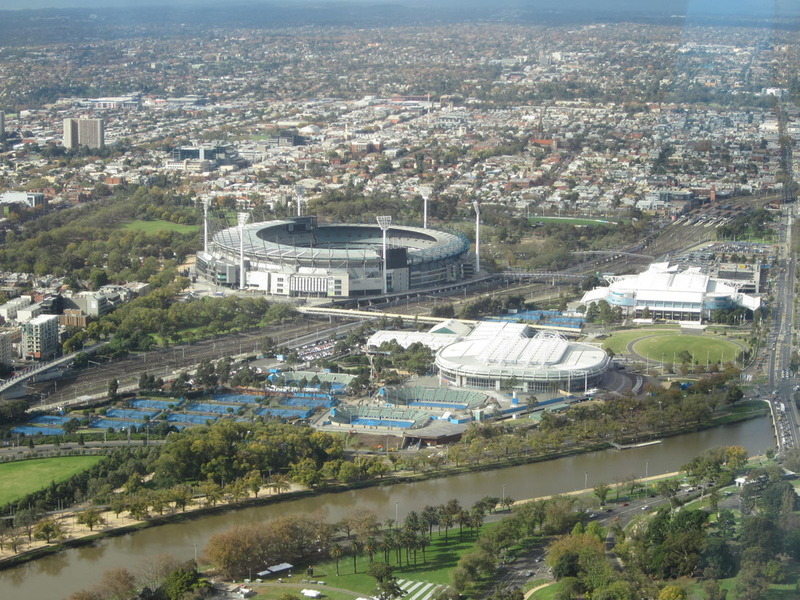 In the distance is the MCG – Melbourne Cricket Ground which seats just over 100,00 people. It is one fo the top 10 largest stadiums in the entire world. CRAZY! 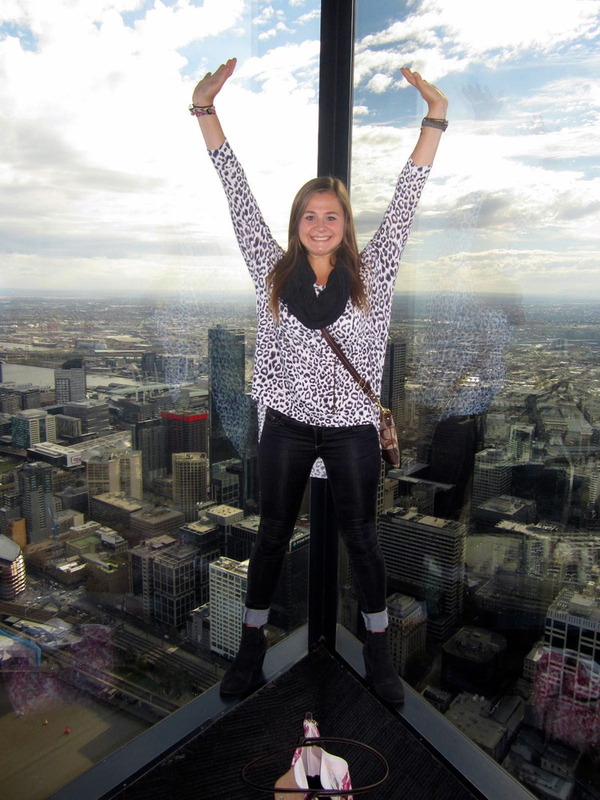 On top of the world… okay, not exactly – On top of Melbourne! 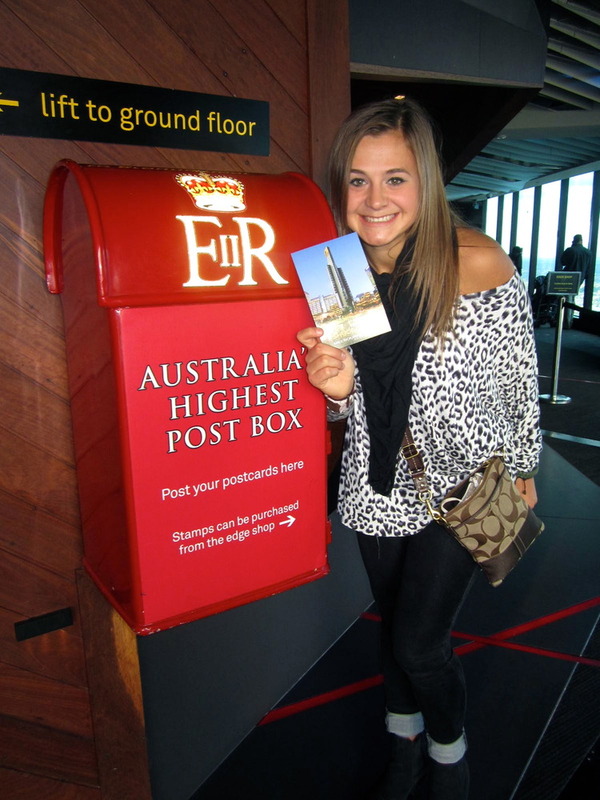 This is Australia’s Highest Post Box! After the Skydeck we spent the remainder of the afternoon roaming the city. My fab roommates. What a beauty view of the city! After Sara headed home for the afternoon, Insia and I continued shopping. Swarovski was giving away treats in their store. 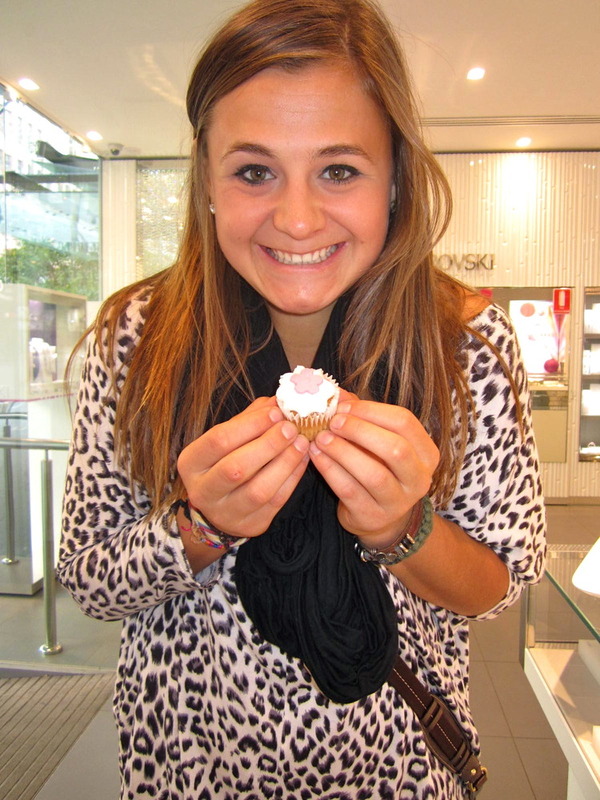 As Insia browsed for jewelery I took advantage of the free snacks. Obviously. 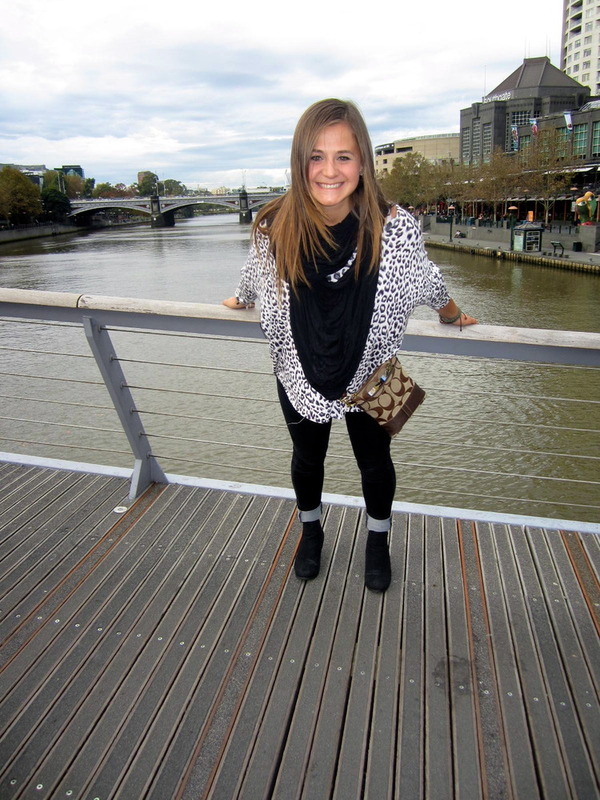 With time winding down in this beautiful place I call Melbourne – The Bucket List is slowly being accomplished. 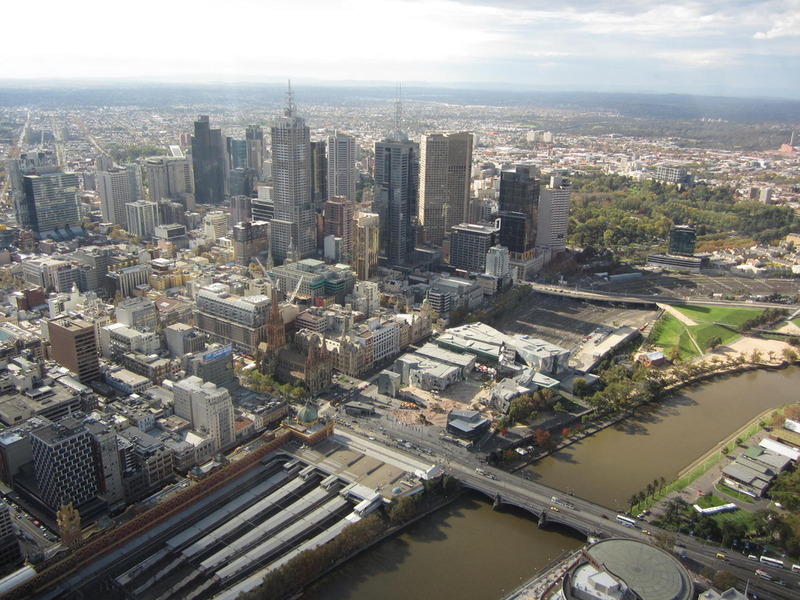 There are still plenty of things needed to be done, but I feel I have seem alot of Melbourne and done lots of the typical touristy activities!